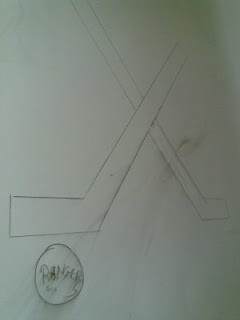 :: Construction Graffiti ::: Hockey time. This set of hockey sticks have gone through many iterations since I took this picture. The ladies of the bathroom walls.